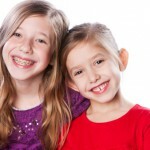 Let’s address a common question parents in Newark and Middletown DE have when considering orthodontics for their children. “When is the best time to have my child evaluated by an orthodontist?” Before you begin researching…orthodontist Dr. Gordon Honig would like to answer that question for you. It is not necessary to be referred by your general dentist for a complimentary orthodontic evaluation at Honig Orthodontics in Newark and Middletown DE. Be proactive and contact one of our offices to schedule a complimentary smile exam. If your child is not a candidate for early treatment, we will continue to monitor your child’s dental and jaw growth development in our complimentary supervisory program to determine the right time to intervene and begin treatment at the proper time.